Extramammary Paget's disease. Light micrograph of a section through perianal skin tissue affected by Paget's disease. Paget's disease usually affects bone or breast tissue. 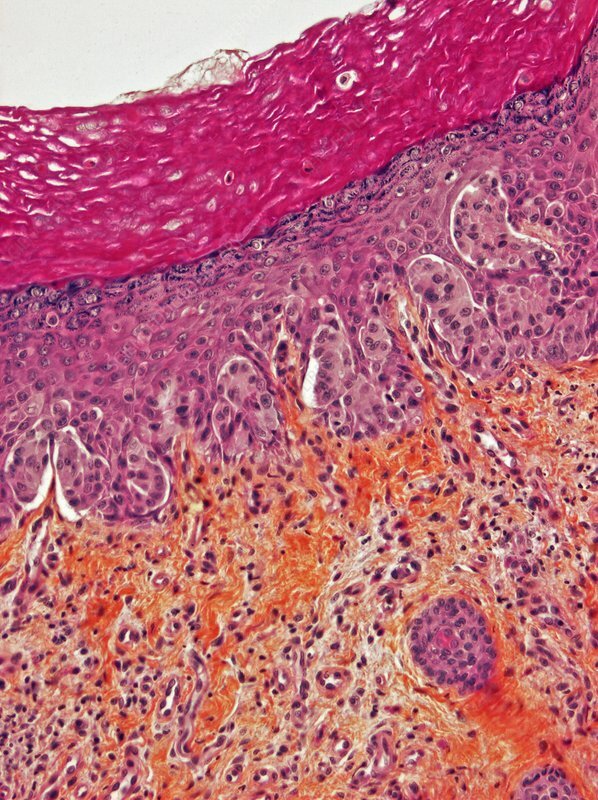 When affecting other areas (as here) it is known as extramammary Paget's disease, and is a rare slow-growing usually non-invasive intraepithelial (in the skin) adenocarcinoma (cancer). Extramammary Paget's disease involves primarily the epidermis but occasionally extends into the underlying dermis. Magnification: x560 when printed at 10 centimetres wide.